The unique patented grill inside the Rolln Clean & scoops out the clumped waste, depositing it into the pull-out tray. 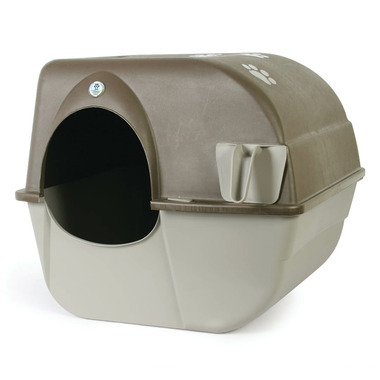 Just roll the litter box onto its top, and roll back to the up-right position. Remove the tray and dispose of waste! For fast and easy cleaning, use the Rolln Cleanժ.